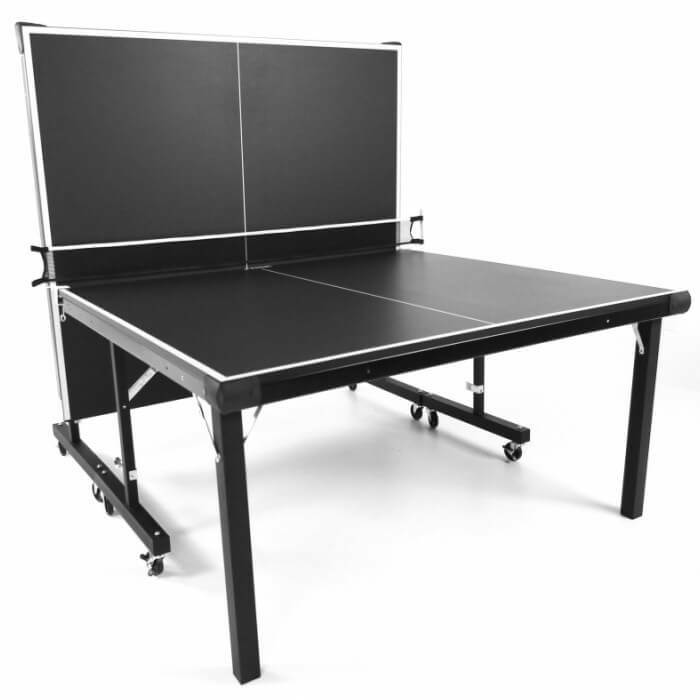 The Stiga (pronounced Steega) InstaPlay T8288 is a mid-level table from an established brand. So let's take a closer look at all aspects of this table so that you can decide whether the InstaPlay T8288 is the right table for you. When you watch the video at the bottom of this page, you'll see a demonstration of this near the end of the video. 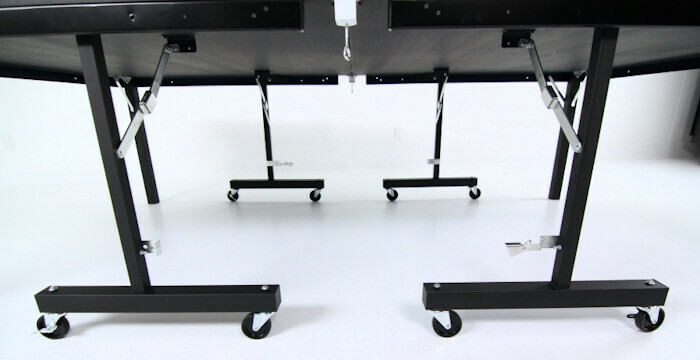 This is how the table looks in its storage position with each half of the playing surface in an upright position. However, as each half of the table is completely separate from the other, you can store them separately or together. 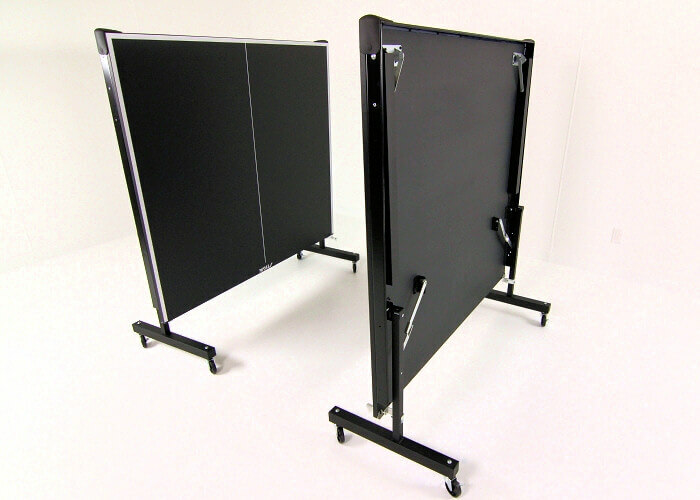 In addition, each half can be used as a free standing mini table. 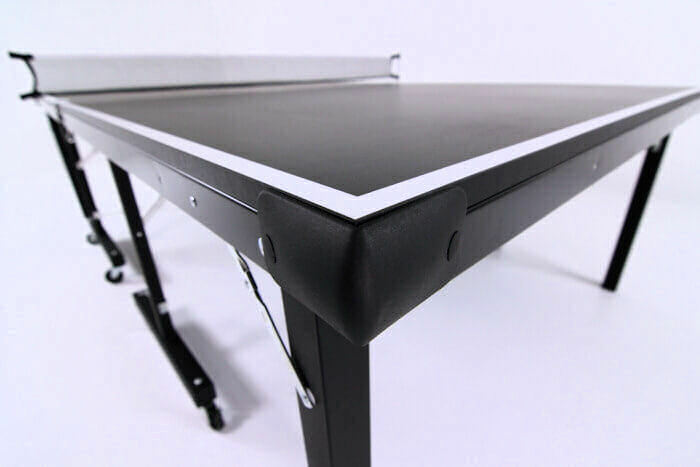 This table has a two inch steel apron underneath the edges of the playing surface. The legs lock into position with the cross struts. When you need to move the table (usually in its storage position) there are four wheels on each half. 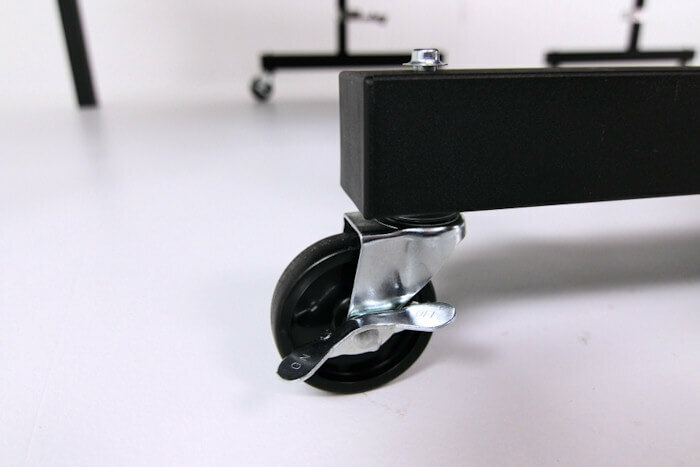 The wheels are 3 inch ball bearing casters with a locking mechanism. In addition to the centre legs which have caster wheels on them, the four corner legs are as shown here. These legs are not adjustable so if you have an uneven floor, this table may not be suitable for that location. This is the locking device used to secure each half of the playing surface in the upright, storage/playback position. 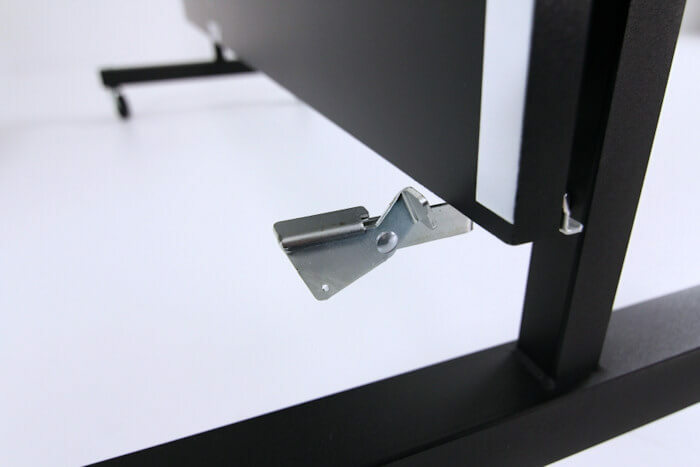 When you watch the video at the bottom of this page, you'll see this locking mechanism holding the table in the upright position. 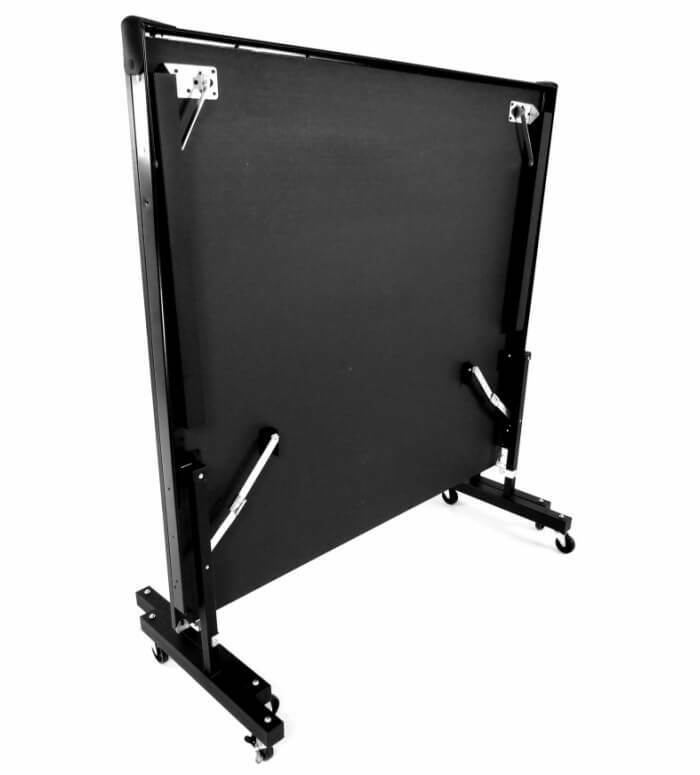 The net supplied with this table is 5 feet 6 inches long and 6 inches high and non-adjustable. 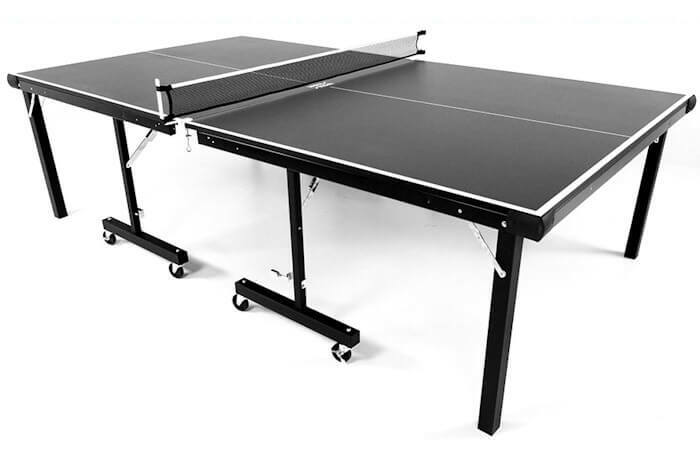 Therefore, it does not meet the ITTF requirements for competitive play, but it's suitable for recreational play. 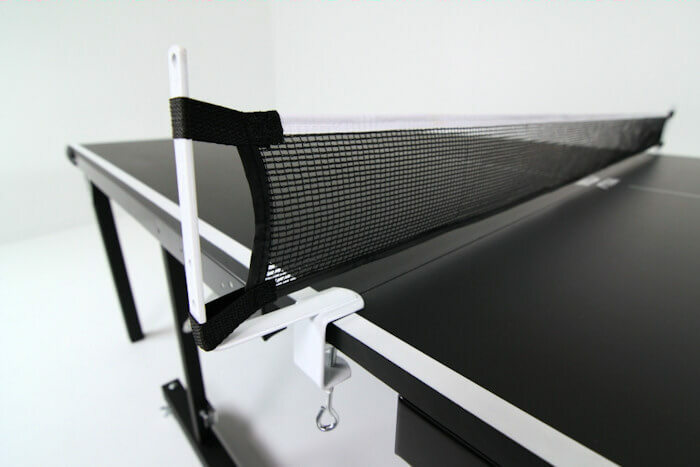 However, you could easily buy a new net and post set to fit onto this table. This table comes ready to use with no assembly required, but there are a few instructions available which will help you to get this table ready for use. It's a pdf document which is 4 pages long and you can download it now. You'll need Adobe Acrobat Reader or Preview installed on your computer to view these instructions. Most Windows computers have Adobe Acrobat Reader installed already - it's FREE, but if you're one of the few who haven't got it, click on this link https://get.adobe.com/reader and follow the instructions on the Adobe web site to download it. 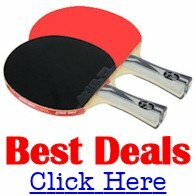 Who is this Stiga InstaPlay T8288 Table Tennis Table for?